The marketplace for social-collaboration software continues to evolve, with the rise of Slack (and its many imitators) as well as new entrant Facebook into the crowded ESN market. Meanwhile, enterprise architects are struggling to align core collaborative services at a time when nearly every major vendor is adding "social" features within their own silos. 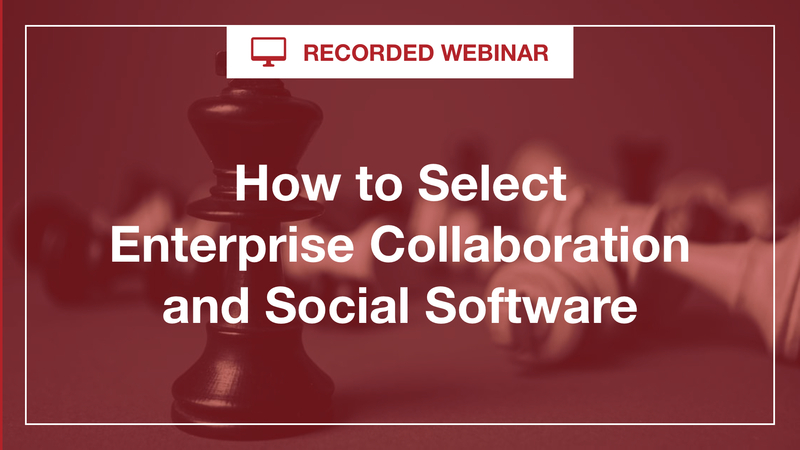 Join RSG founder Tony Byrne for a tour of the current collaboration and social technology landscape, including how vendors are (and aren't) addressing key emerging trends. Come away with a proven methodology for selecting the right solutions for your enterprise. This webinar is best suited for intranet and community managers, IT strategists, enterprise architects, and technology procurement professionals.